DeFelsko Corporation, a leading U.S. Manufacturer of coating thickness gages and inspection instruments, has been delivering Simple, Durable and Accurate gages since 1966. Family owned and operated in Northern New York, their state of the art facility houses research, development, manufacturing, qua...morelity, sales and service departments. Over the years, DeFelsko has pioneered many technologies including the first combination ferrous/non-ferrous gage to automatically recognize the substrate and take a measurement and the first hand-held ultrasonic coating thickness gage for non-metal substrates including plastic, wood and concrete. 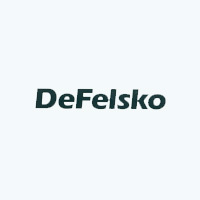 Starting with the mechanical PosiTest FM and GM, DeFelsko has shown a commitment to excellence in manufacturing and after sales support. DeFelsko actively participates in several key organizations (SSPC, NACE, ASTM, ISO) to improve and promote the science of coating inspection. DeFelsko is recognized as a premier American manufacturer of quality inspection instruments.